There are some special rules for 2012 Summer Book Trek Sponsorship. 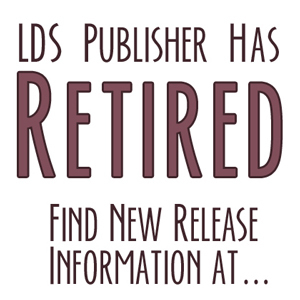 Books for prizes MUST be authored or co-authored by an LDS author. Book prize may be either print or ebook. You may sponsor with as many books as you want. Books may be published by a traditional publisher or self-published. Book must be currently available for purchase online. Sponsor will ship or email the prize straight to the winner. Print books will be shipped to U.S. addresses only; ebooks will be emailed worldwide. YES! Sponsors may participate as readers in SBT12. Please sign up! Sponsor provides one or more prize(s) in the form of one print copy or one digital ebook copy of their book to be shipped at sponsor’s expense to a prize winner selected by LDS Publisher. Sponsor receives the cover of their book posted here with a link to where the book may be purchased online. Sponsoring book covers are posted in the order that I receive the request for sponsorship, with first books at the top and later books at the bottom of the post. (Although if there are a lot from one source, I may spread them out a bit.) There will be no sidebar images or author bios included. 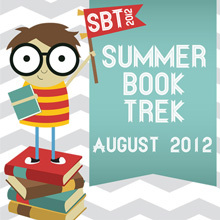 SBT12 participants get DOUBLE POINTS if they read one of your books! Prizes will be awarded regularly throughout the reading challenge. Winners will have up to one week after the close of the challenge to send me their mailing information. I will forward this information to sponsors via email. Please keep this information private. Sponsors should ship books to the winner in a timely manner. Sponsors may also participate in the reading challenge and are eligible to win prizes. No! It’s not to late! Accepting Sponsors through the end of August. Please include the following information in your sponsor request email.